2 Cool Automotive wants to build your trust and take the stress out of auto repairs. That’s why we offer fast, reliable estimates, outstanding service, and affordable prices. If your car’s dashboard brake light is glowing a deep yellow or red, it’s time to come in to 2 Cool Automotive for a brake repair. Our experienced professionals will inspect your brakes, and let you know in extreme detail the diagnosis, and what is required for a repair. Before any work is done, our team will provide you with a written estimate to ensure we are on the same page. Other early signs you should look out for include a slow-to-respond brake pedal or a screeching sound when braking. Getting your oil changed is one of the simplest and most effective ways to keep your car in its best shape. Changing your oil and oil filter regularly will help reduce friction, provide lubrication and play a part in keeping your engine from overheating. Our automotive technicians at 2 Cool Automotive car repair Welland shop make sure to give the components inside, outside and underneath the hood of your car a thorough inspection. After looking through, we provide our clients with a written report of our findings and proceed with the oil change accordingly. Radiators work to keep your car engine cool. If at any time your engine is running hotter than normal, or you find antifreeze leaking from your car, stop by 2 Cool Automotive for a an inspection and fixup. Making sure that your radiator is up to standard is crucial, as great enough heat levels can warp the engine and cause gaskets to explode. Our experienced professionals are trained to get your radiator under control before it becomes a bigger problem that requires a bigger solution. After a thorough inspection, our technicians will be able to let you know if you require this service. At 2 Cool Automotive we aim to provide a service for all of those in need of auto repair. Here, you will be happy to find a one-stop shop for all of your auto repair needs like tire repair, wheel alignment and balancing, diagnostics, fleet services and more. Our automotive technicians have been thoroughly trained and are very experienced in car repair and maintenance. From inspections to tune ups, you can feel confident that they know what they are doing. At 2 Cool Automotive we have the technology and we have the team to take care of even your biggest rides. Due to the extra weight and size of dually trucks, specialty equipment is required to repair and maintain your vehicle, and to keep it up to road standards. We eliminate the sometimes fearful potential of being unable to find a repair company with the special tools and equipment it takes to get dually trucks performing at their best. At 2 Cool, we have made duallies a priority. Whether your truck needs a general tune up, requires brake repair or an alignment job, we have you covered. 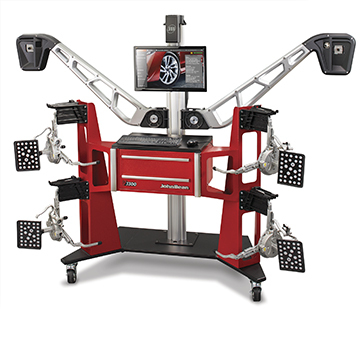 The new John Bean V3300 alignment system combines a next-generation user interface with productive alignment. It comes equipped with a notification system that provides up to the minute critical information. The V3300 wheel aligner keeps every alignment in check so customers do not have to worry themselves. The user interface makes sure that vehicle-specific assistance is as close as a click away.